Heidi here, reporting progress for once. It’s almost embarrassing to admit that, in just a couple of hours, one highly structured writing exercise adorned my bare plot with complex characters, details of setting and multiple red herrings. Truly, it happened. After pantsing my first novel, I swore I’d never go through that again. 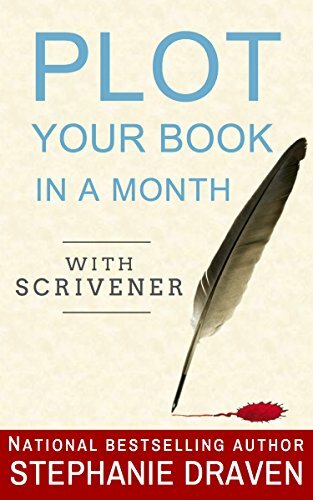 I was already using Scrivener, though not handily, so I bought Stephanie Draven’s Plot Your Book in a Month with Scrivener. Then came the miracle. Draven starts you off on characters, and you have to do it her way. The exercise requires you to set up eight, count them, eight, separate folders under each character’s template. These are Vocation, Vulnerabilities, Strengths & talents, Flaws, Ideals, Beliefs that must change, Goals and Problems. For each, she demands of you five examples in your character’s make-up. I started with my villain. He was due to commit a crime (art forgery) for money. Ho, hum! But pondering his vulnerabilities (by which Draven means innocent weak points, not the character’s fault), I discovered the motive behind the motive. His desire for money has its roots not in greed, but in resentment. The origins of this are familial, but over a lifetime it has added malice to his purely personal flaw of greed. As this dynamic developed in my head, suddenly, from nowhere at all, a countervailing vulnerability popped up. My forger works in a precise and detailed genre – but he suffers from a longing to paint in the Impressionist style. He is not at all good at it. For reasons I won’t go into, this innocent commitment will betray him. From his resentment and malice flowed a conviction that “Hell is other people.” To him, they are either obstacles or nuisances, though he is usually careful to conceal this. It hampers him in dealing with new people in new situations. At the same time, it causes him to be a loner and to be perceived by those he encounters as lonely, a sympathetic trait. Spending time in the character’s mind brought me into his physical world as well. I felt rather than deduced that his natural pace is slow and his focus on details. As he is well up in years, this lifelong trait can come across to new acquaintances, incorrectly, as the slowing of physical and mental faculties with age, another sympathetic trait. This perception of his physical traits, in turn, spilled over into the creation of another character, with whom he will be in conflict. She was always going to be more than a generation younger than he, but now she is also taller, robust where he is lanky, obtrusively energetic. He, in contrast, seems hardly fit for the pace of the 21st century. And while I was thinking physically, another connection occurred: I want the setting of my books, northern New Hampshire, to be vivid to my readers, almost a character in the story. So my villain, thin and not robust, is always cold no matter where the thermostat is set. The whole exercise was so inspiring that it was hard to keep the categories separate even on the first run-through. Vulnerabilities suffered through no fault of one’s own blossomed into flaws via unfortunate methods of coping. Strengths quickly became ideals – because our own good points are always the really important virtues, aren’t they? Initial problems bred solutions that became complications of a straightforward criminal enterprise. So thank you, Ms. Draven. If this thing ever sees print, a fulsomely autographed copy will be yours. P.S. I have to say, the “one month” thing isn’t working out. Each new exercise takes me days to think through and tinker with. However, if you’re a wo/man of steel, and don’t eat or sleep much, maybe you could manage it.